I grew up in Montreal, where my love of architecture, fashion, and photography was developed. 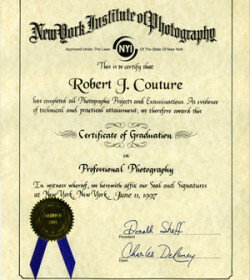 I studied at the New York Institute of Photography for two years, graduating on June 11, 1997. My passion for photography drives me to create original images in an artistic way. My passion for black and white photography has led me to specialize in the art of contemporary black and white portraiture. My philosophy is to do it right, from start to finish. 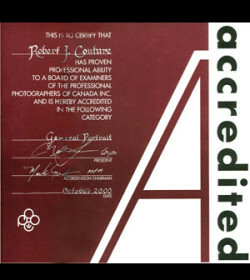 The photographer must have complete creative control over his image – from the start, when he is working with the light to create the perfect shot- to personally color correcting and using the latest digital technology, skill, and experience to the highest standards. This is what shows the true talent of the photographer. 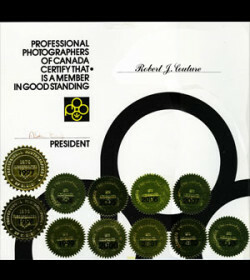 I have been an accredited member of the Professional Photographers of Canada (PPOC) for the past 12 years, continuously honing my skills. 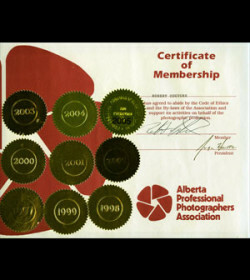 I have 15 years of experience, running a very successful photography business in Calgary, Alberta. I have photographed approximately 500 weddings, as well as hundreds of portraiture sessions, including family, portfolios, and commercial work.